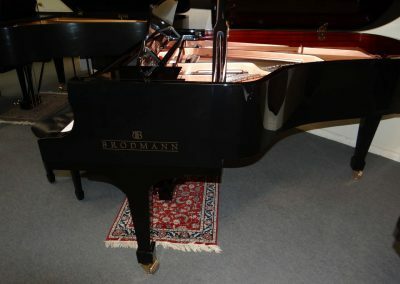 The legendary European piano designer Ignaz Boesendorfer actually apprenticed under Joseph Brodmann in the Brodmann factory. 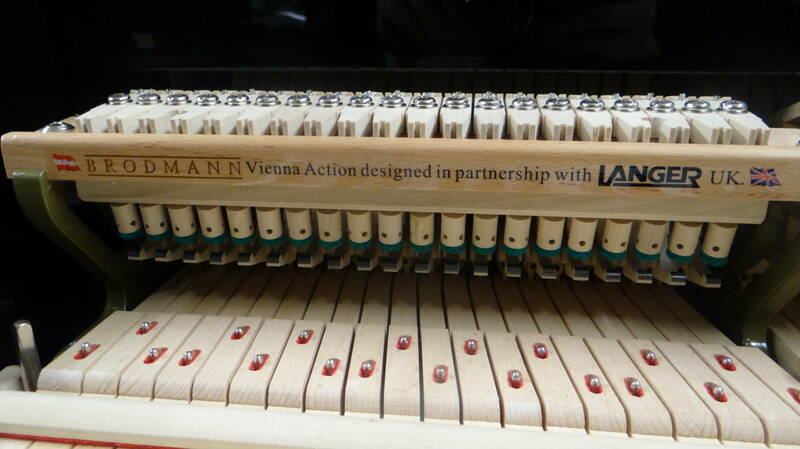 The Brodmann sound philosophy is based on the Viennese, European sound tradition. 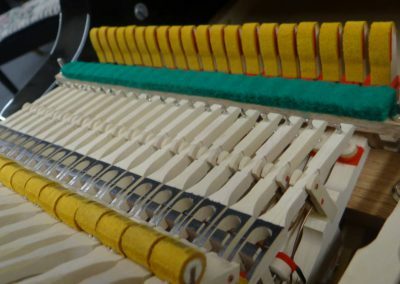 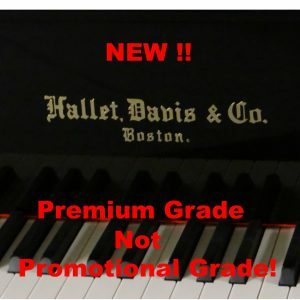 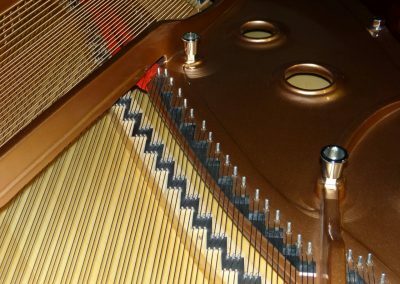 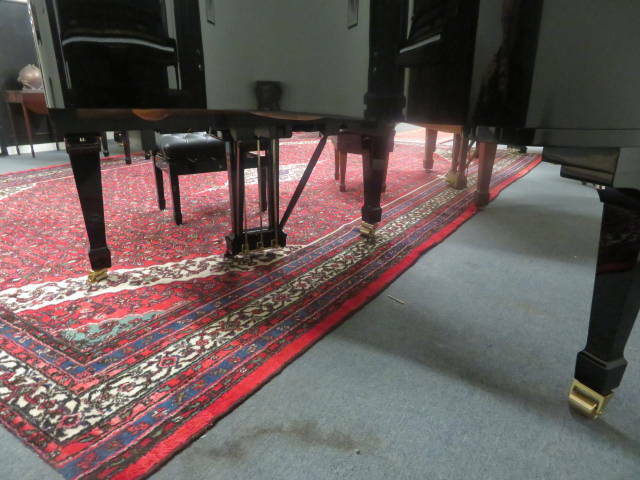 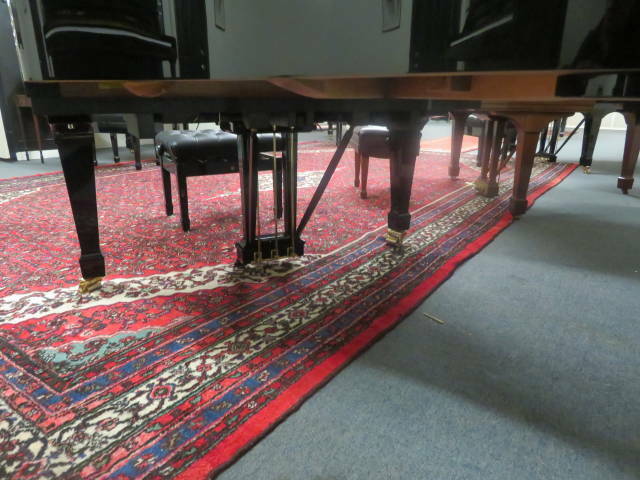 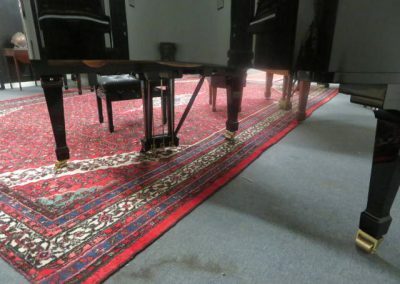 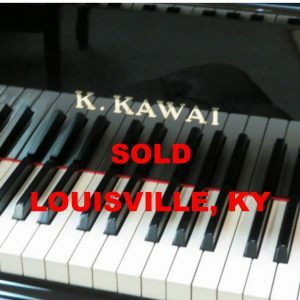 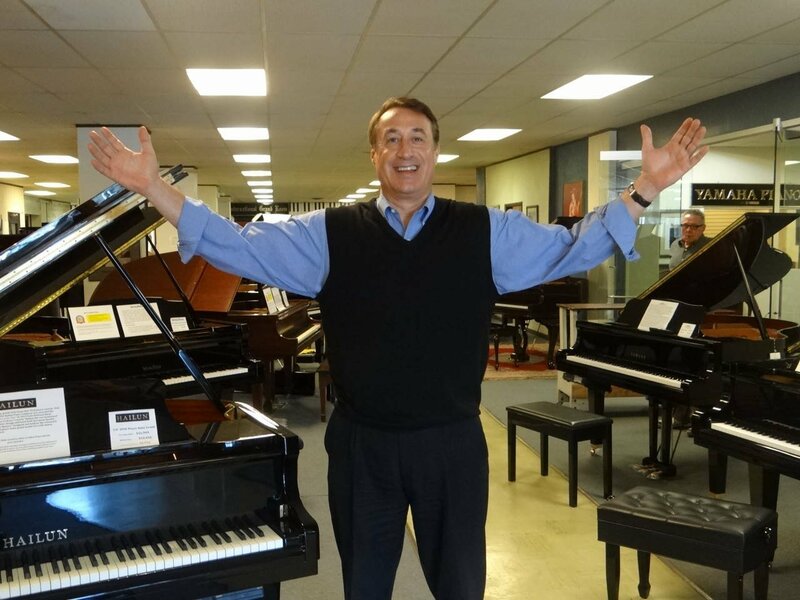 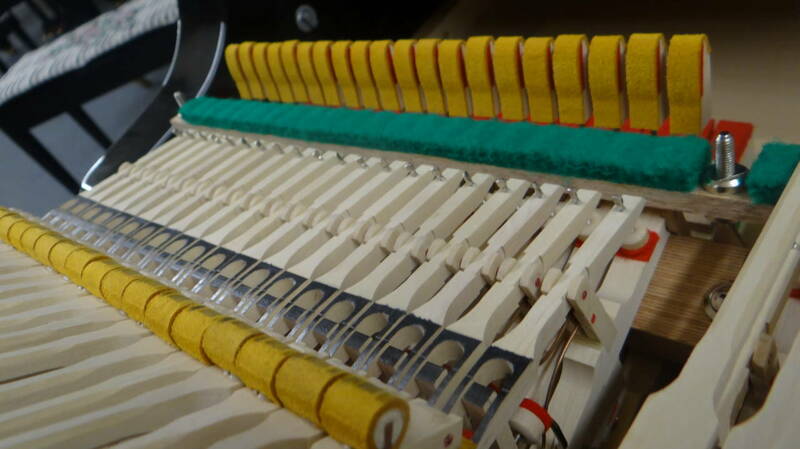 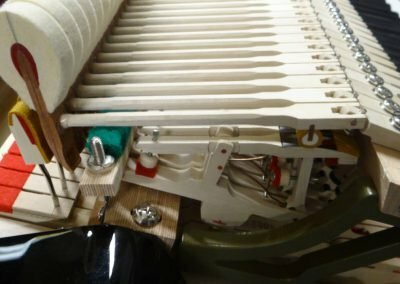 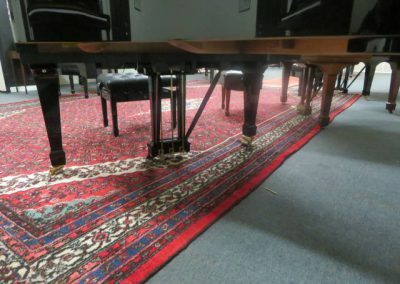 More and more people today are turning away from the traditional bright harsh sounding pianos that have become somewhat of a standard in the last 25 years. 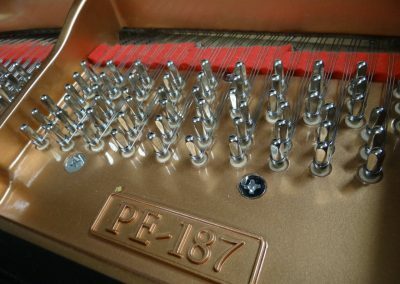 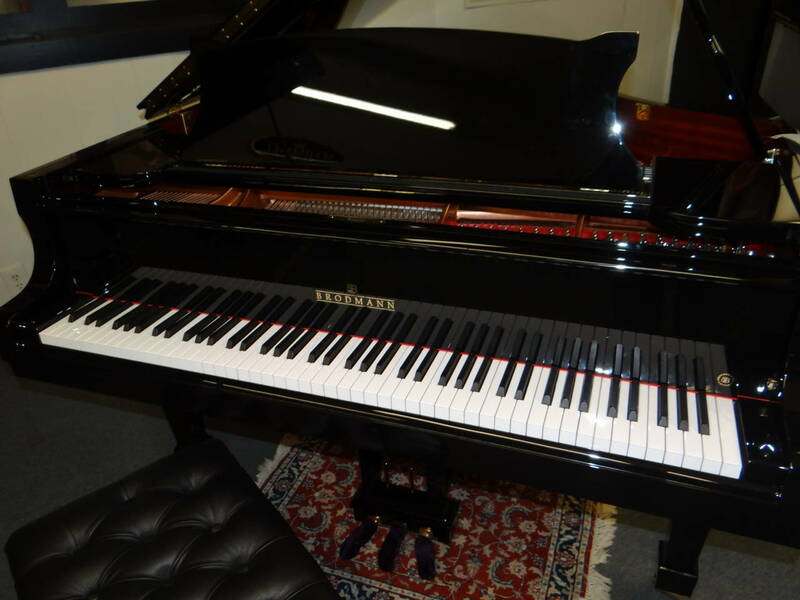 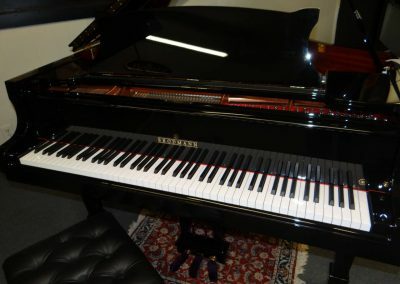 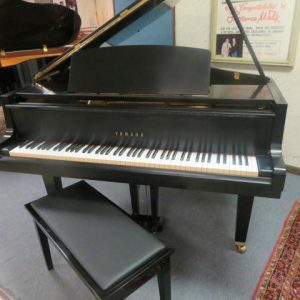 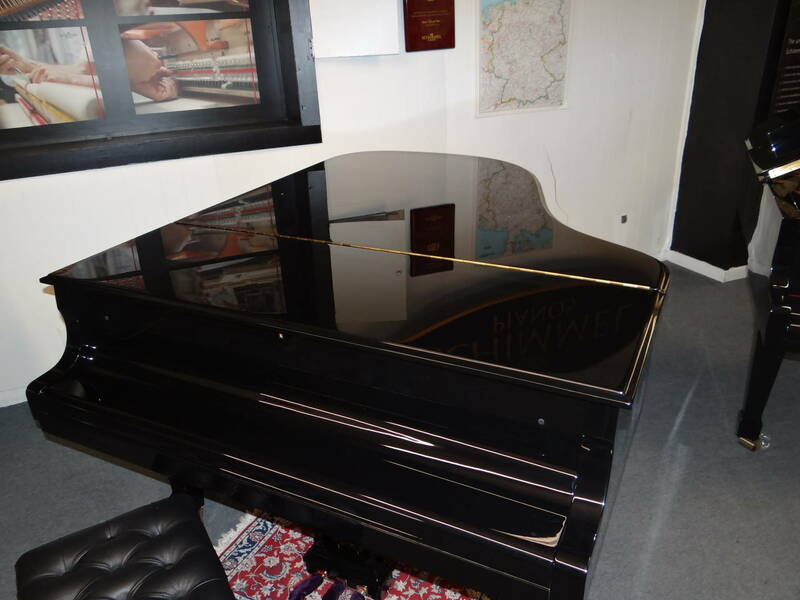 New BRODMANN Grand Piano Model PE 187 very similar to the Steinway & Sons Hamburg Steinway Model A. 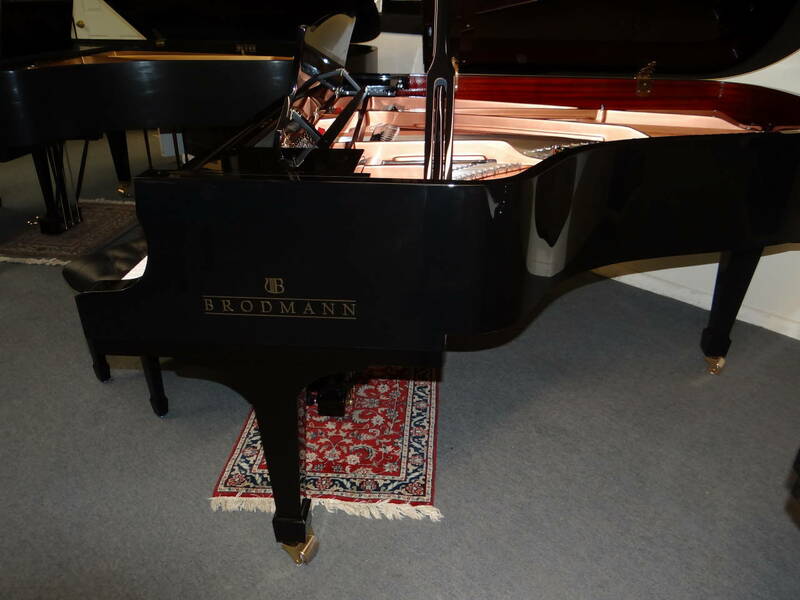 The BRODMANN Model PE 187 grand piano is the size of piano which is bought more often than any other size of piano made in the world today. 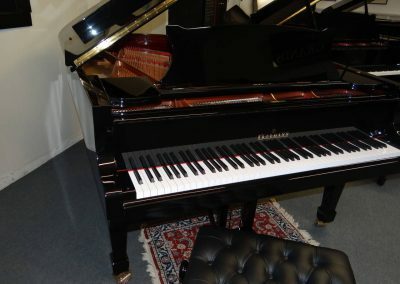 Length: 6’2, Width: 5’1, Weight: 705lbs. 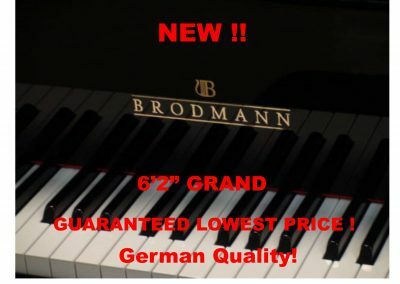 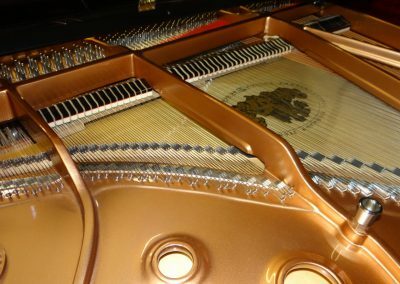 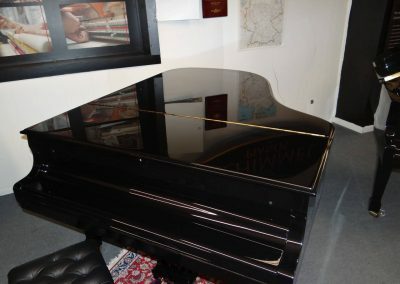 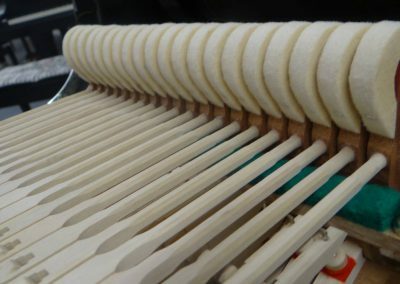 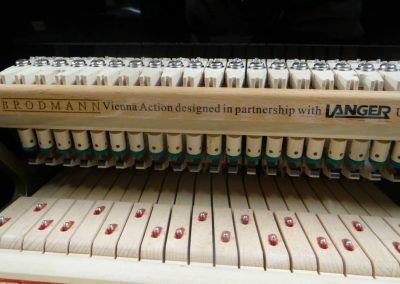 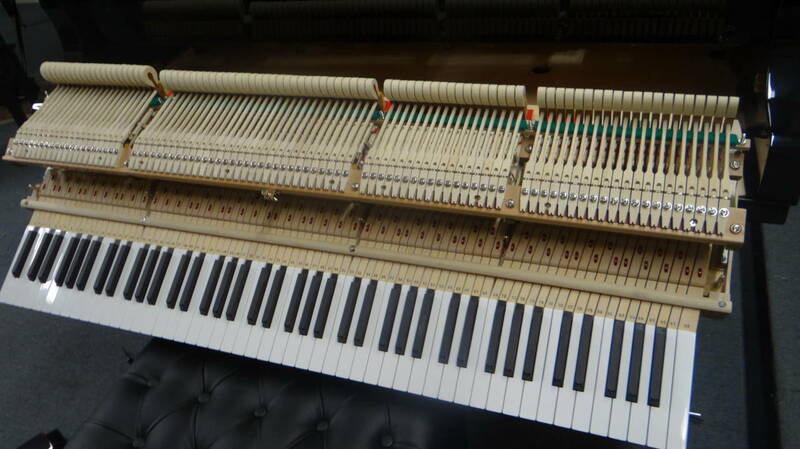 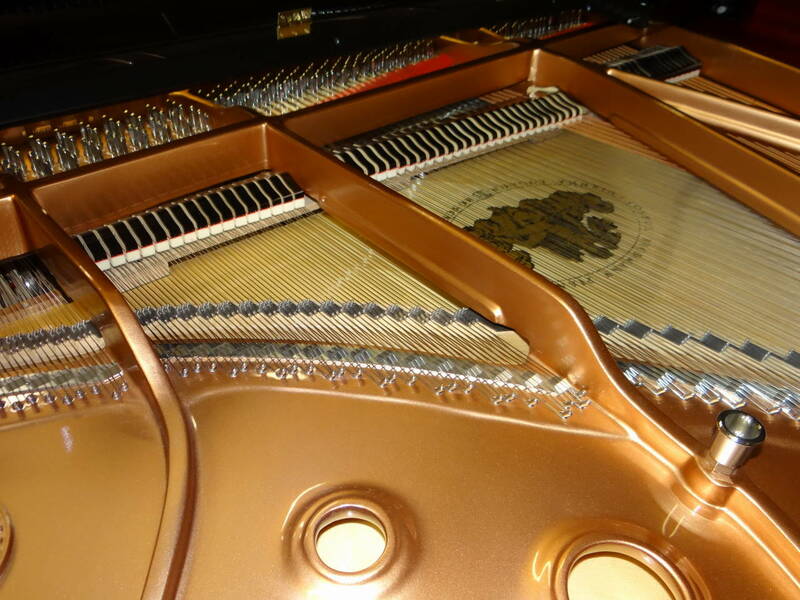 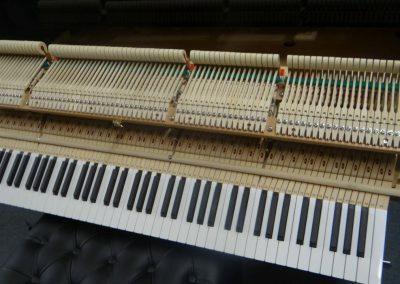 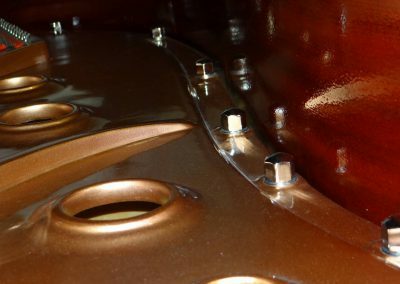 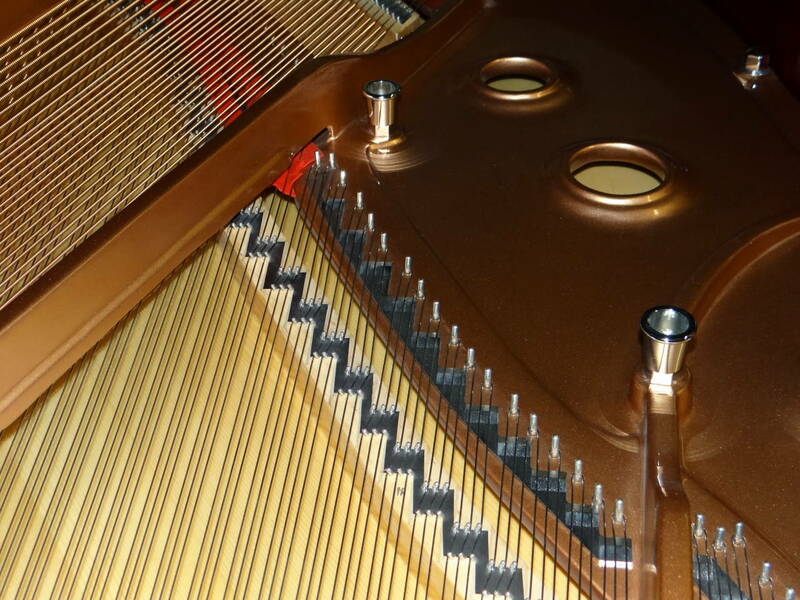 All Brodmann grand pianos are “World Class Hand Built” Grand Pianos and include German Wide Tail Design (This allows for a larger soundboard area, producing a richer sound), German Strunz Austrian white soundboard and ribs, German Abel hammers, Hard rock maple rim, 100% wet sand cast plate, Vienna piano action designed by Langer,UK, Duplex scale with Aliquot bar, Slow close fallboard, and deluxe adjustable artist bench. 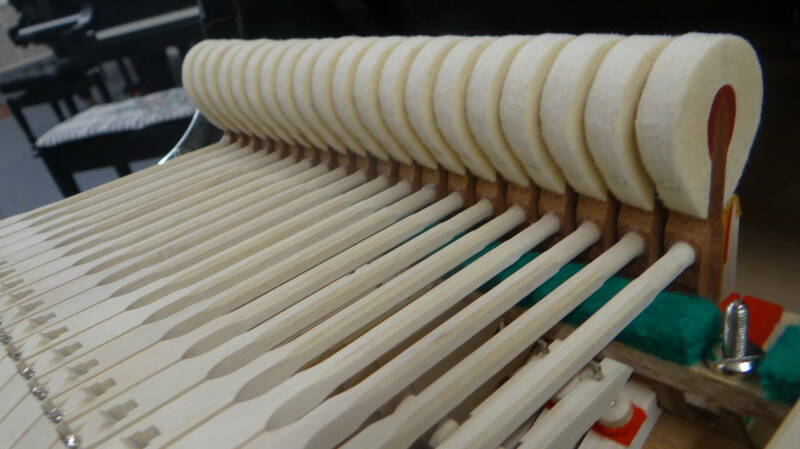 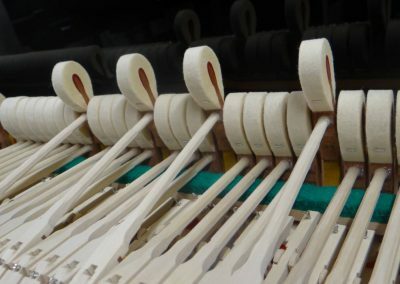 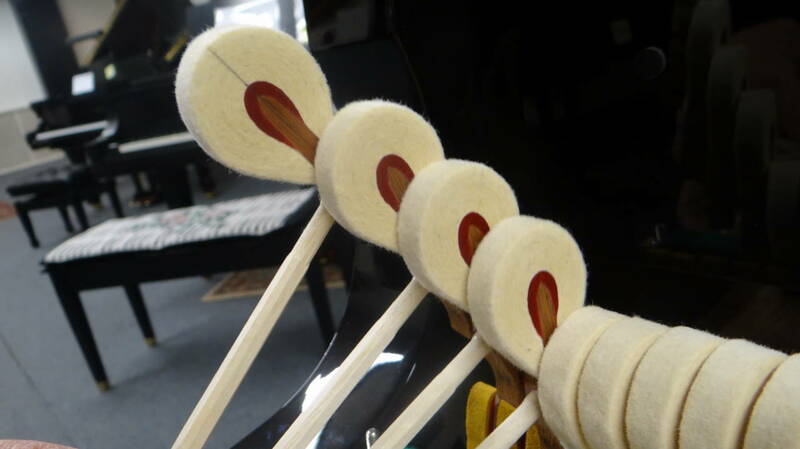 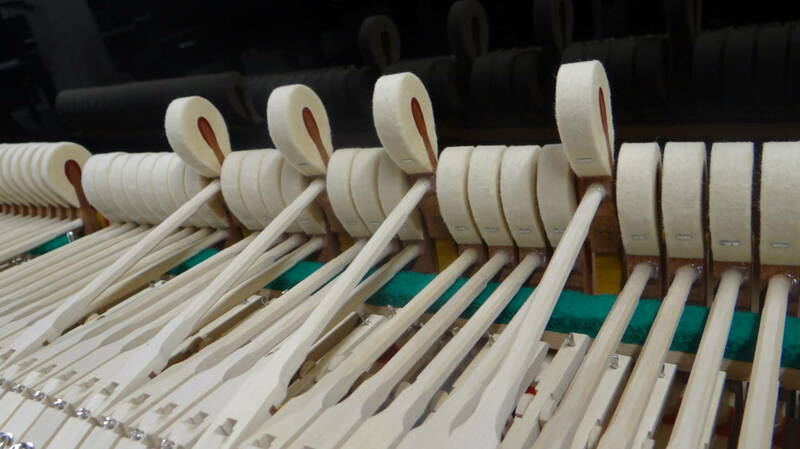 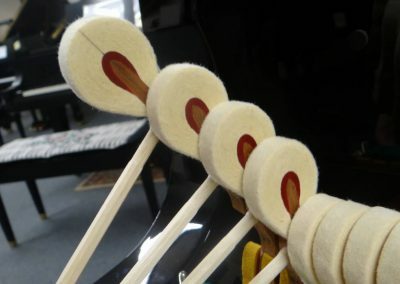 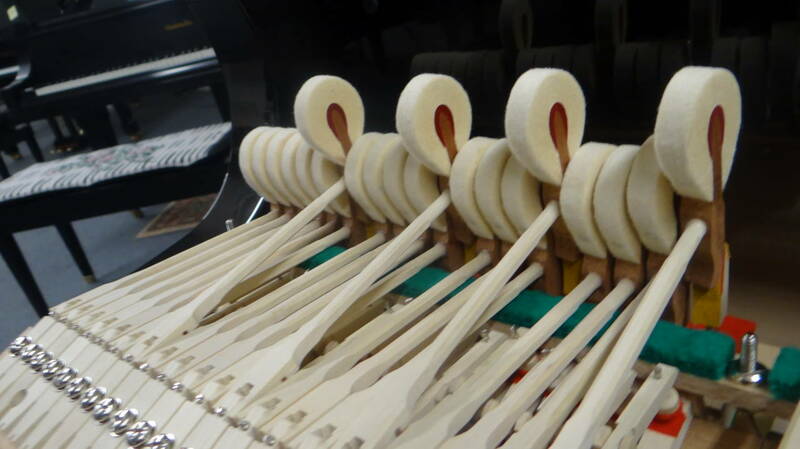 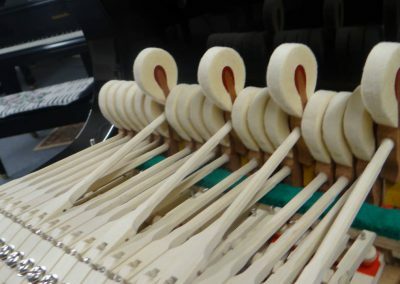 ACTION: (hammers, keys, shanks, dampers, flanges, whippens) German Abel hammers and Roslau strungs (strung by hand) are custom fitted into the German/British designed Langer action. 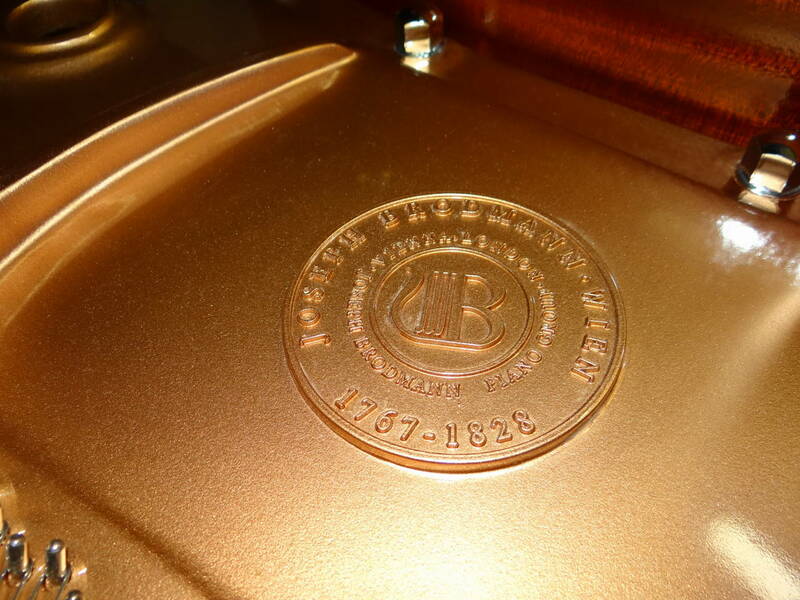 Abel, Roslau, and Langer are considered to be the finest manufacturers in their fields. 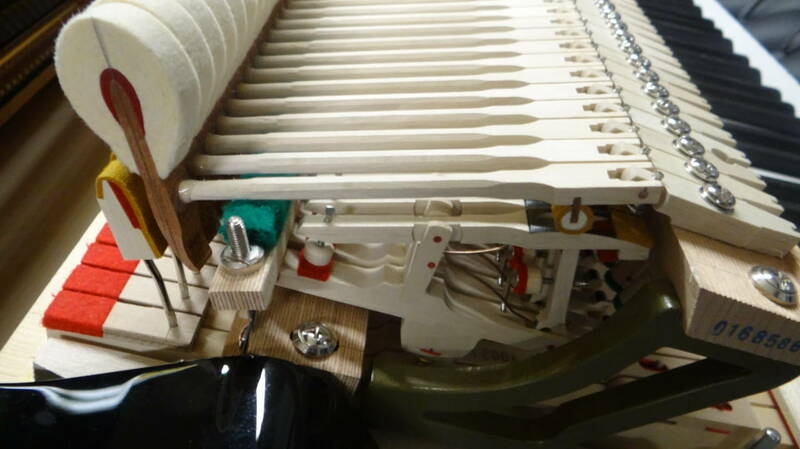 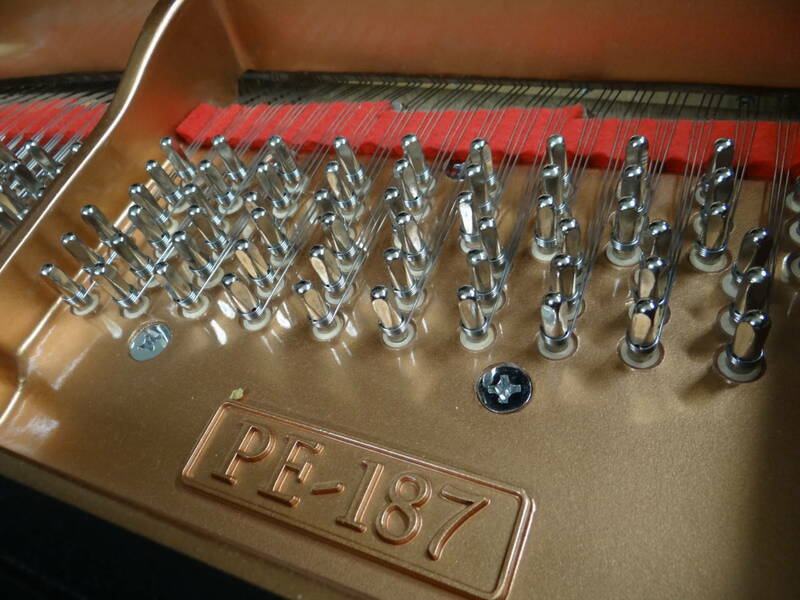 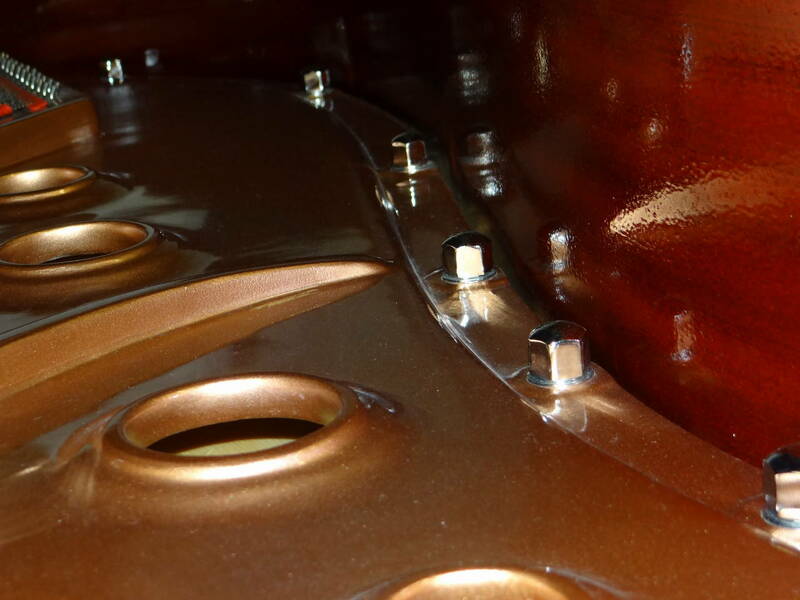 These premier components create an action with a precise touch and certainty required by the most demanding pianists. 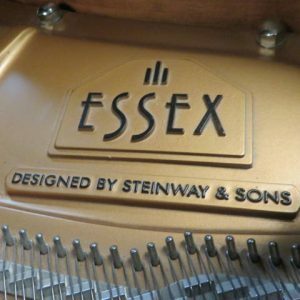 CASE: The stunning classic ebony case prompted one reviewer to comment “I was struck by its beautiful luster and high-quality finish. When I played it I realized that beauty in this case is more than skin-deep”… Hard rock rims, wet-cast plate, premium hardwoods all assembled by hand in the classic German tradition.